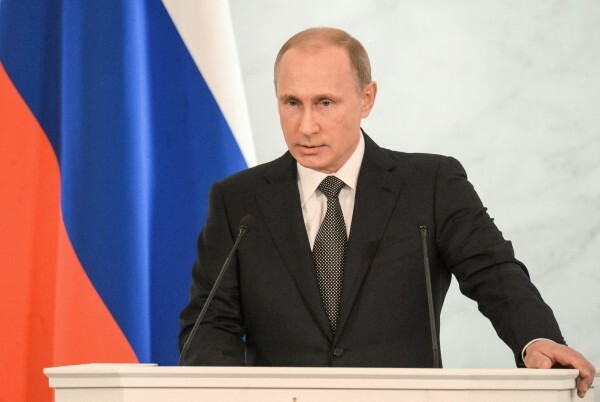 Russian President Vladimir Putin has said that the BRICS bloc of nations – Brazil, Russia, India, China, and South Africa – have already proved their effectiveness on the world stage despite being a relatively “young” organization. “BRICS are coordinating their policies on key international issues ever more closely, and are playing an active part in shaping a multi-polar world order and developing modern models for the world’s financial and trading systems,” Putin said on April 1, the day Russia assumed the presidency of the organization. Brazil, Russia, India and China began working on establishing the bloc in 2006 but it wasn’t until the first BRIC summit in Yekaterinburg, Russia that the organization began to show promise of being a global player. South Africa joined the group in 2010. This year’s summit will be hosted in the city of Ufa, Russia July 8-9. Putin said that the summit coincides with the 70th anniversary of Russia’s defeat of Nazi Germany and 70 years since the end of World War II. “Aware of the past’s tragic lessons, the BRICS countries consistently support peaceful settlement of international conflicts and condemn any attempts to use force and pressure or intervene in sovereign countries’ internal affairs,” the Russian president said. But Putin said that in addition to strengthening global security and stability BRICS would focus on the group’s Strategic Economic Partnership and will facilitate the launch of the New Development Bank and the Currency Reserve Pool. The BRICS Bank launched last year during the 6th BRICS Summit in Brazil will fund infrastructure projects in Brazil, Russia, India, China and South Africa, and challenge the dominance of the Western-led World Bank and the IMF. Putin added that Russia’s presidency will also focus on education, culture, science and healthcare. “During Russia’s presidency, the BRICS Youth Summit and the Global Universities Summit will take place and we will establish the BRICS Network University,” Putin said. “We will examine opportunities for developing inter-parliamentary dialogue, through which lawmakers could take direct part in resolving the tasks before the BRICS group,” he added. Last year, a special edition of Policy in Focus, a United Nations Development Programme report released in April, is urging BRICS countries to focus on generating employment opportunities for youth as a means of meeting development projections. BRICS is here to stay…Growing from strength to strength — Journeying the world into an era of economic prosperity, cementing social cohesion and cooperation on all fronts, affording futures for even the least among us, to reach their full potential and become the most they desire to be. One exciting opportunity is when the BRICS Development Bank conspires with the Group of 77, (which meanwhile consists of 134 UN nations along with Palestine). Literally all the nations of the Southern hemisphere with a few exceptions are part of this new power player. The emerging dignity of those countries in combination with future demographics assure a glorious time to come. It would be good if the New Development Bank was aligned with development goals developed at the G-77. Instead of just building infrastructure at random, try and achieve larger goals like providing water and sanitation and electricity for all. Co ordinating everything will have a much larger effort than separate efforts.